The Real Brass Ring takes The Secret on a high-speed road test in a tale of midlife transformation in the real, flesh-and-blood world of contemporary Chicago. It is the story of a �midlife reboot,� a raw, unfiltered journey of enlightenment that illustrates a woman�s daunting personal reinvention and the rewards of fearlessly pursuing a life�s true calling. Dianne, you are a talented writer, healer, teacher and performer. But sadly your life is heading down the wrong path. 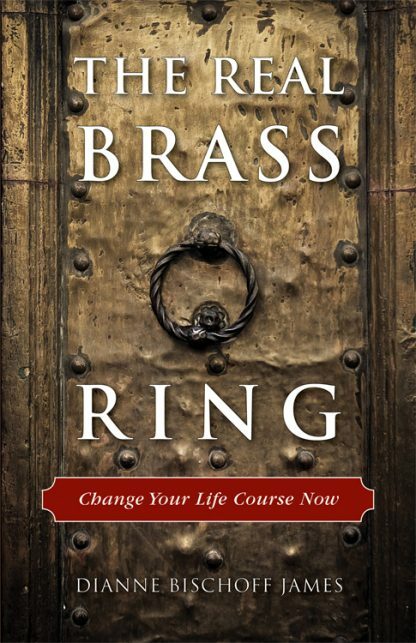 Your brass ring is coming by and you need to grab it before it�s too late. You have modeled yourself after your parents� desires. You are completely stuck in the make-believe role of being a �good girl.� You live with depression because nothing about your life is your own. � Fix your ways or soon it will be too late. Dianne had achieved an impressive education, an accomplished entrepreneurial career, a busy family life and social status; yet somehow, she had completely missed �the real brass ring.� Although she had had a perfectly �traditional� background, her marriage was a sham, career uninspiring, health failing and self-esteem and spirituality non-existent. At 38, it was as if she had awakened to a nightmare: she had been living a profound lie. Finding herself completely off-track, Dianne openly bares her soul and utilizes the metaphysical principles of The Secret to set out to change every aspect of her existence. She insists that she is worthy of an authentic romantic relationship and initiates the break-up of her marriage, with three children in tow; and dives into midlife �cougar� dating, including a close call with a charming but dangerously abusive alcoholic. By experimenting with the Law of Attraction, she also launches the acting career she had always dreamed of as a child and surprises even herself with success in an extremely competitive arena. Gradually, yet boldly, Dianne also faces other critical issues, including physical afflictions, a terrifying financial recession and the death of a loved one � removing each daunting roadblock one by one and manifesting a newly-created self. By chronicling her own personal reinvention with grit, humor, incisiveness and compassion in The Real Brass Ring, Dianne provides the inspiration and passion others need to reclaim their authentic self.